I told you last week that I would give you the other side of the spectrum of the "Clean Fifteen" which is the "Dirty Dozen", referring to the twelve fruits and vegetables with the most pesticides on them. Now, I I know after reading this list you will probably feel yucky inside just like I did and maybe feel like you should just skip produce all together, conventional or not. Nonetheless, I think it is definitely very important to inform yourself about this matter, take every article you read with a grain of salt and then do whatever the heck you want with all this info! With that being said, let's get right into the list, shall we? Here is the list of the "Dirty Dozen", number one having the most pesticides and working its way down. If you want a cute little printable list to help you remember and take with you when you're shopping, here is a beautiful picture with the list. o 99 percent of apple samples, 98 percent of peaches, and 97 percent of nectarines tested positive for at least one pesticide residue. o The average potato had more pesticides by weight than any other produce. o A single grape sample and a sweet bell pepper sample contained 15 pesticides. o Single samples of cherry tomatoes, nectarines, peaches, imported snap peas and strawberries showed 13 different pesticides apiece. Smart shopping choices matter. People who eat organic produce eat fewer pesticides. A study by Cynthia Curl of the University of Washington published February 5, found that people who report they "often or always" buy organic produce had significantly less organophosphate insecticides in their urine samples, even though they reported eating 70 percent more servings of fruits and vegetables per day than adults reporting they "rarely or never" purchase organic produce. Several long-term observational studies have indicated that organophosphate insecticides may impair children's brain development. In 2012, the American Academy of Pediatrics issued an important report that said that children have "unique susceptibilities to [pesticide residues'] potential toxicity." The pediatricians' organization cited research that linked pesticide exposures in early life and "pediatric cancers, decreased cognitive function, and behavioral problems." It advised its members to urge parents to consult "reliable resources that provide information on the relative pesticide content of various fruits and vegetables." 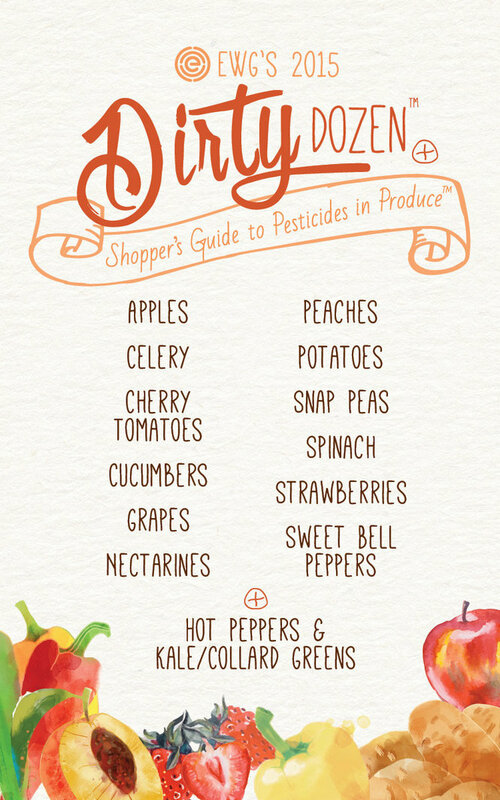 One key resource, it said, was EWG's Shopper's Guide to Pesticides in Produce (Dirty Dozen and Clean Fifteen Lists). 1. 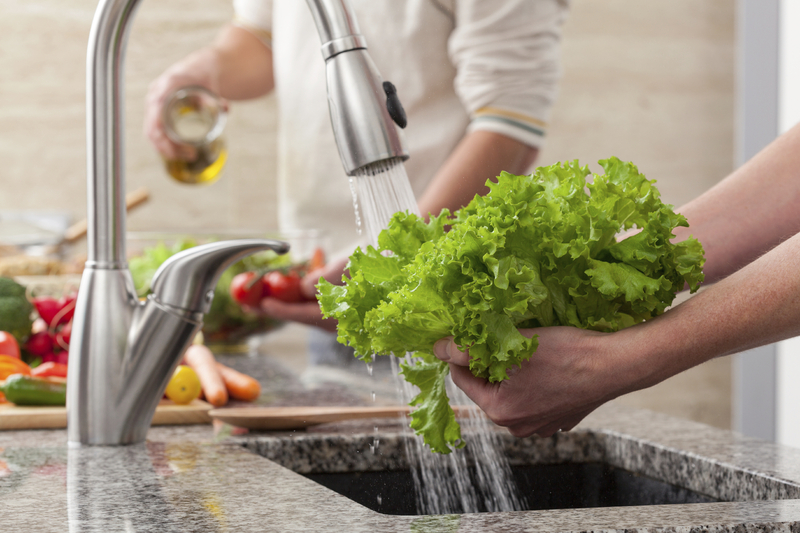 Wash all of your produce really well whether it is conventional or organic. Honestly, both kinds have stuff all over them that we probably don't want in our bodies whether it is a natural or synthetic substance. 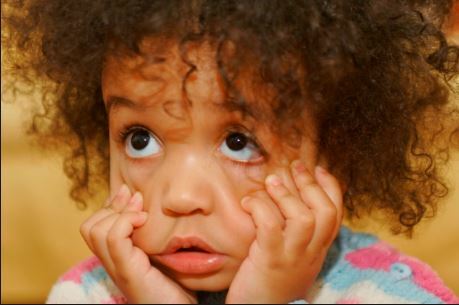 "If you don't feed your kid the 'right strawberry,' what do you feed him?" I've walked into markets with a hungry kid and been so afraid to buy the conventional apple that I've gotten him a snack pack of Annie's Crackers instead. And I know there are parents who buy the Peter Rabbit Organics Fruit Pouches at Starbucks because they don't know whether the bananas on display are organic. These aren't smart moves. 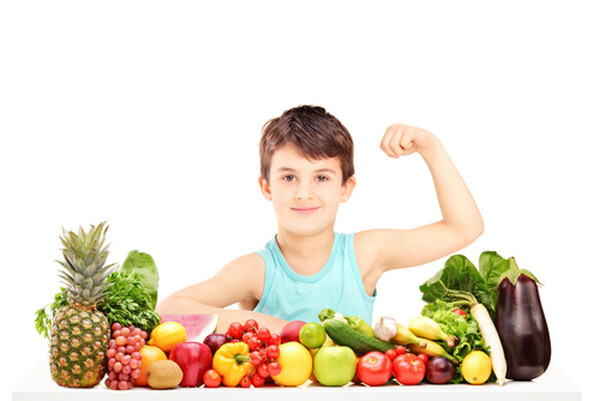 It is far, far better for your kids' long-term health to get them in the habit of eating whole fruits and vegetables, regardless of what type of farm they came from, than to give them pretty much anything else to eat, no matter how organic or all-natural it may be." 3. I am not going to tell you whether or not you need to take the plunge and only eat organic produce all the time now or not. I just read a lot about this information and thought it was worthy to tell you guys because it was quite shocking to me. Do you buy organic produce? If you do, do you think it is worth the investment? Do you have strong feelings against buying organic produce? I'd love to hear any and all thoughts in the comments below. Getting a Meal on in Minutes with FLAVOR MATCHES! Got a Sweet Tooth? You'll LOVE this Information! NAKED Cakes Are the BEST! The Ultimate Organizer- Right in Your Kitchen!